I can flyyyyyyyyyyy….. oh…no I can’t! 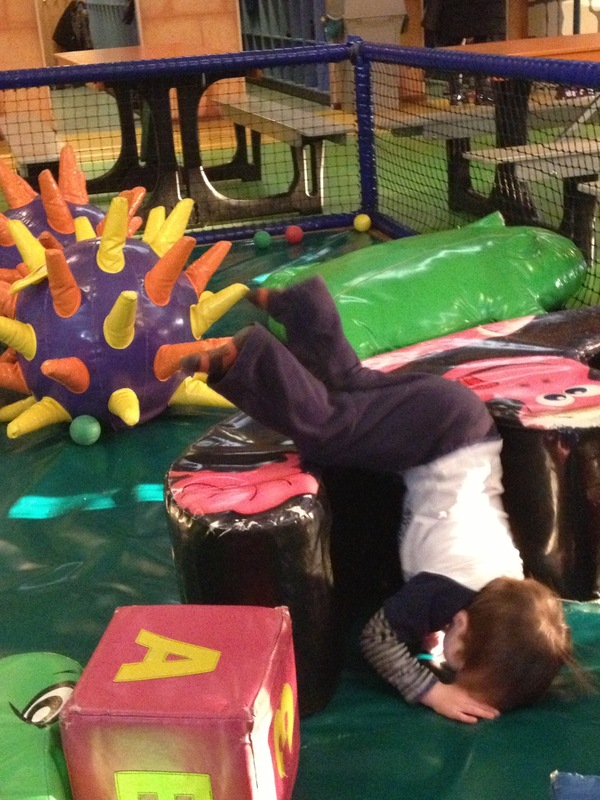 The new piece of soft play equipment was incredibly life-like. If I lie here like this the spikey monster won’t be able to see me will they? Louis Smith eat your heart out!! If I stay like this long enough, they’ll think I meant to do this!!!!! On closer examination I don’t think it’s a sweet at all!